Price: $$ ($10-$20) – Available at Drugtore.com and Amazon.com. I Like: how light the cream is. Effective at moisturizing and sinks in quickly. Not a fan of: the strong synthetic tropical scent. 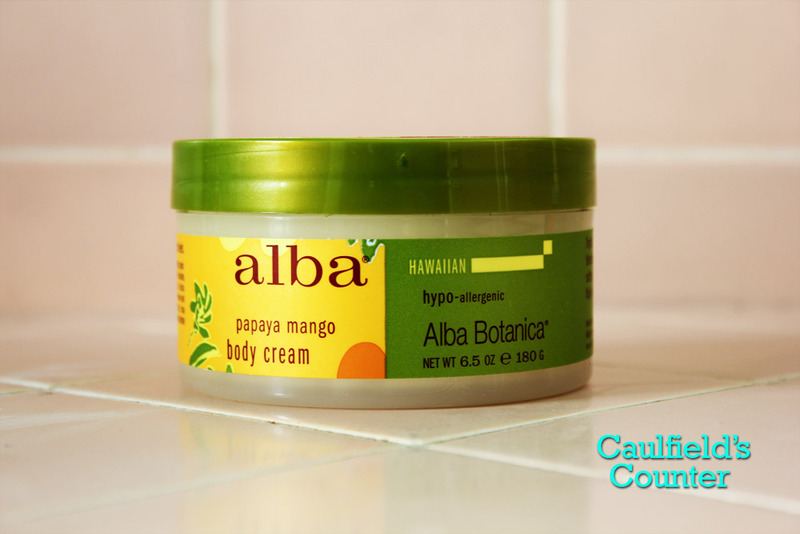 Alba Botanica’s Hawaiian Papaya Mango Body Cream is more like a lotion than a body butter. Because the product came in a tub, I expected a thicker, heavier consistency. The cream is not rich, but it is effective at moisturizing. The product sinks very quickly into the skin. I used it on all parts of my body, except for the face. Some notable ingredients in the cream include shea butter, mango, cucumber, kukui oil, macadamia oil, and rosehip seed oil. The only aspect of the product I didn’t enjoy was the strong synthetic “tropical” fragrance. 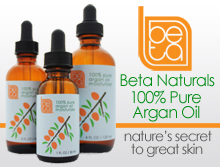 Price: $$$$$ ($40-$50) – Was available at Kiehl’s and Nordstrom (now discontinued). Scent: Sweet blend of honey and spices. I like: how well this rich body balm moisturizes – contains nourishing ingredients such as sea buckthorn oil, cocoa butter, and shea butter. It smells amazing and puts me in a great mood. Not a fan of: the price tag, though an eight-ounce tub should last one to two months. 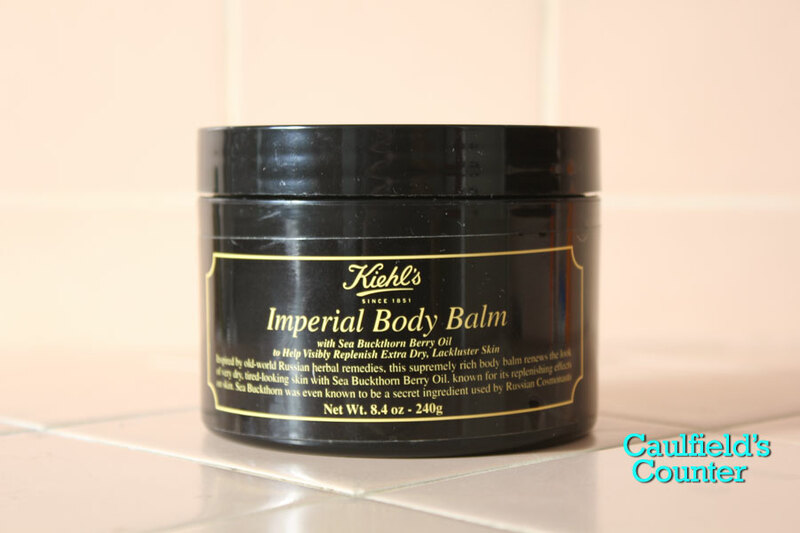 Kiehl’s Imperial Body Balm is one of my favorite body moisturizers. This body balm has so much to like – from its wonderful scent, a calming blend of honey and spices, to its rich, luxurious consistency. Nourishing ingredients such as sea buckthorn oil, cocoa butter, and shea butter help to keep the skin properly moisturized throughout the day. I especially enjoyed using the product on my arms, legs, back, and chest – the balm prevented my skin from getting dry and itchy. While this moisturizer does not come cheap (it costs $42 USD for an eight-ounce tub), it certainly spoils you with its relaxing scent and nourishing properties. 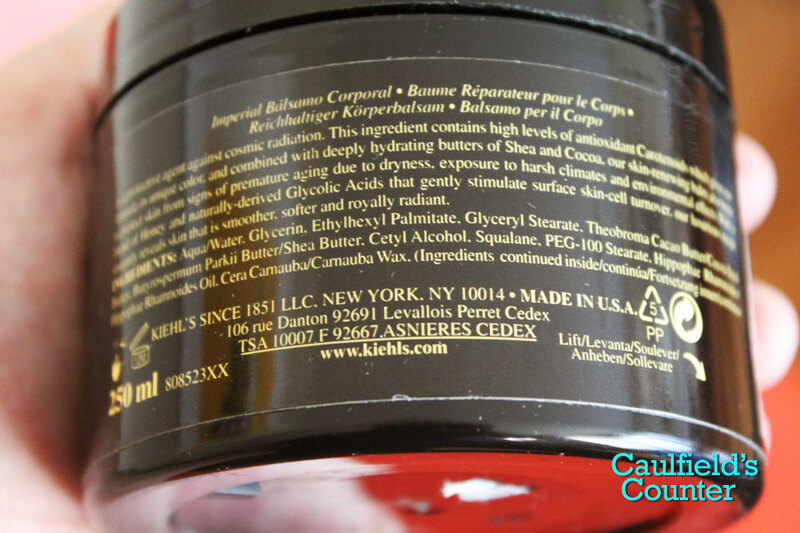 Give Kiehl’s Imperial Body Balm a try to experience what I just described. 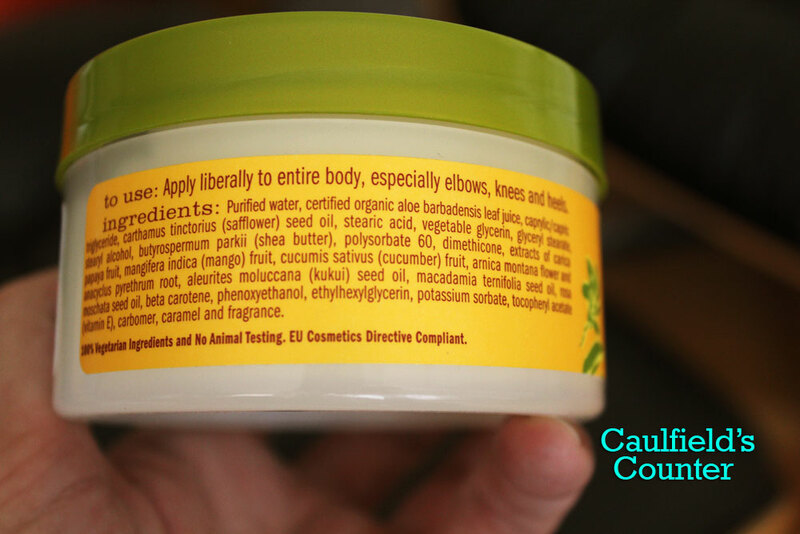 Price: $$$ ($30) – Available at Nordstrom, Amazon, and L’Occitane. Scent: Woodsy blend of juniper, sandalwood, and birch. I Liked: how well this product worked as a moisturizer. The balm effectively soothed my skin and provided relief from razor burn. Not a fan of: the potency of the scent. I would like this product even more if the scent was less obvious. 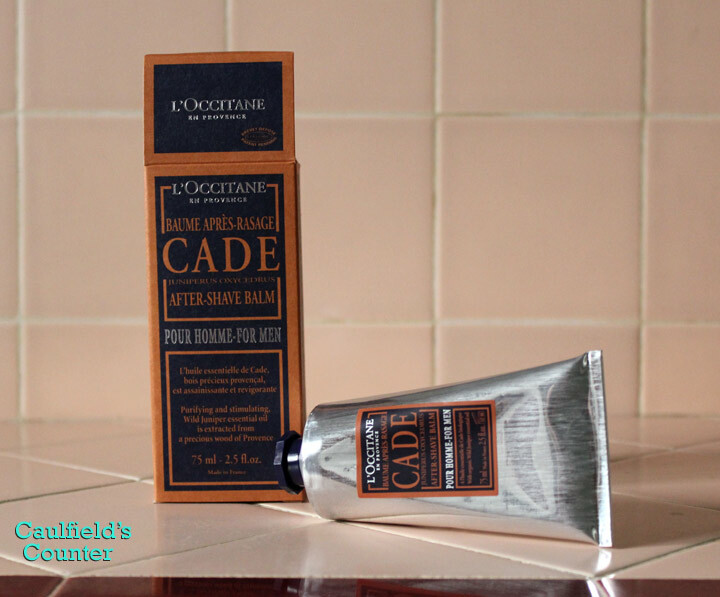 L’Occitane’s Cade After Shave Balm is more like a face cream. 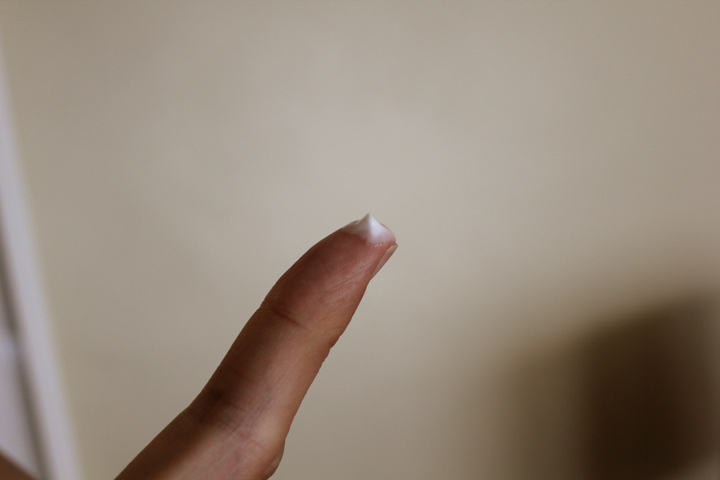 Its texture is very thick, which makes it better suited as a fall/winter moisturizer. At $30 for a 2.5 ounce tube, this balm is relatively expensive. However, a little of it goes a long way. 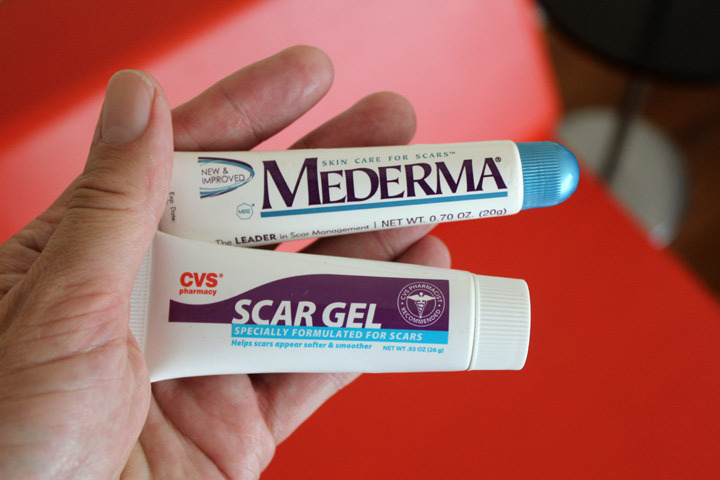 You should be able to get at least four months of use out of one tube. I enjoyed the scent despite how strong it was. The fragrance is a blend of juniper, sandalwood, and birch with a hint of baby powder – it sounds like an odd combination but those scents somehow work well together. Try it if you have dry skin or constantly suffer from razor burn. 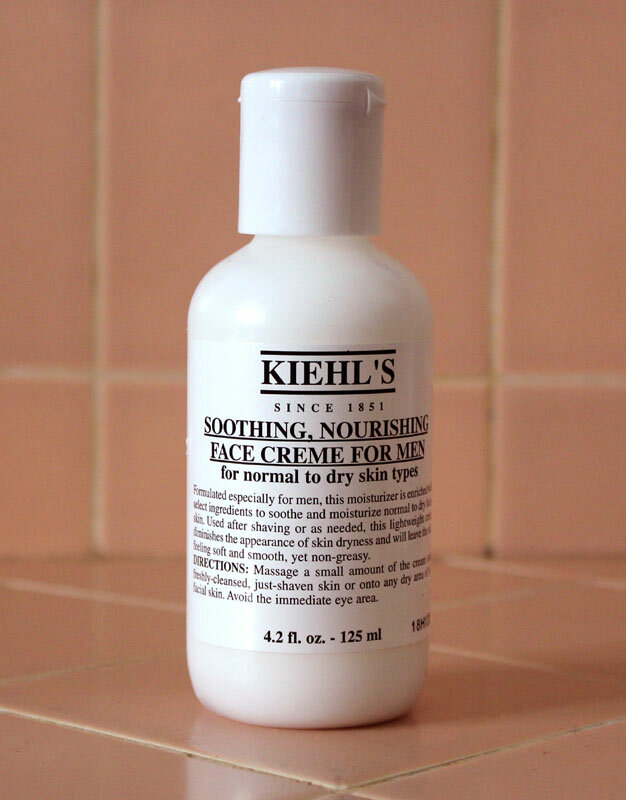 Price: $$ ($10-$20) – Discontinued, but here are the Amazon reviews of Kiehl’s Soothing, Nourishing Face Cream for Men. Scent: Virtually unscented. Has a very slight hint of shea butter. 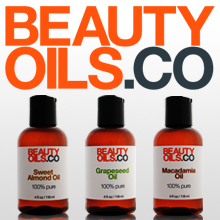 I like: the product’s versatility – it can be used as a moisturizer as well as an aftershave. It works well at moisturizing dry skin. 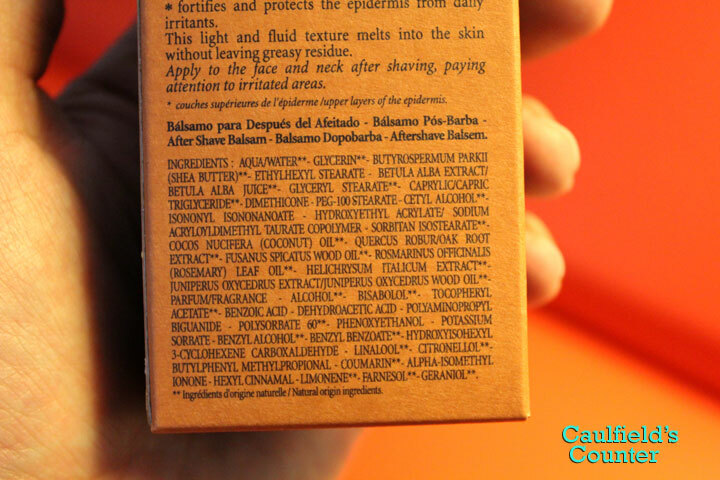 I don’t like: the paraben preservatives. Kiehl’s Soothing, Nourishing Face Cream for Men is a simple, versatile moisturizer that can be used as a moisturizer and aftershave. Those with sensitive will appreciate that it’s practically fragrance-free. This lightweight moisturizer contains some natural nourishing ingredients including shea butter, sesame oil, and apricot oil. Ideal for normal to dry skin.